Regardless of your feelings towards the Catholic Church, it’s fair to say Jorge Bergoglio encountered a challenging situation when he became Pope Francis in 2013: The institution was noticeably out of step with the world, congregations were dwindling, and the matter of widespread sexual abuse perpetrated by priests wasn’t being dealt with as much as swept under the carpet. Francis revealed himself to be more of a revolutionary than anybody expected (sure, the transformation of the Church hasn’t been sweeping, but the man is inarguably an improvement). Director Wim Wenders (Wings of Desire) focuses precisely on the Pontiff’s main drives in Pope Francis: A Man of his Word, a documentary built around a couple of wide ranging interviews with the Argentinian Jesuit. Wenders cares little about Francis’ upbringing or how he became the man he is today. His main concern is the Pope’s view of the world and what is he doing about it. The Pontiff’s modest lifestyle (for Vatican standards anyway) gives away his game: Poverty is the chip on his shoulders and hasn’t hesitated in calling out capitalism. 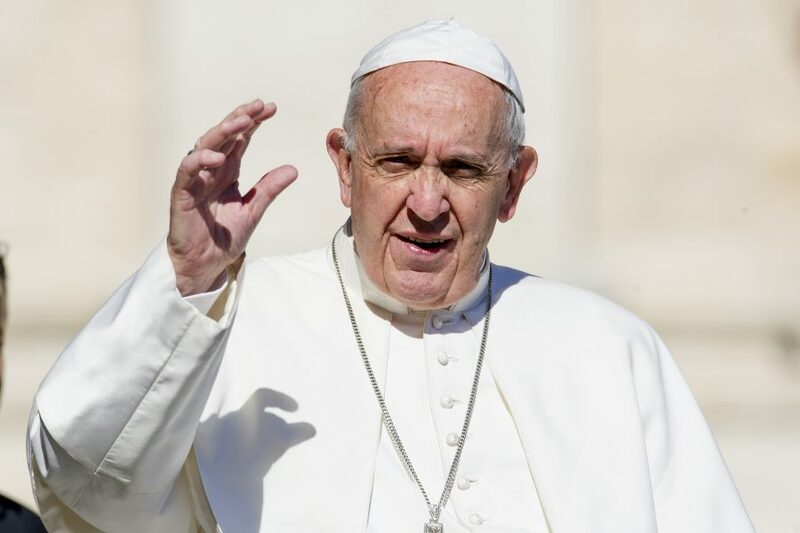 He is also the first environmentalist Leader of the Church to date, a stance that has alienated many Conservative Catholics, particularly in the US. You don’t have to agree with the man, but one has to admire the consistency. From a cinematic perspective, Wim Wenders gets his hands on some eye-popping footage. Unfortunately, his decision of creating cheesy interstitials with the life of St. Francis of Assisi (as if shot by Carl Dreyer in the 1920’s) fails to achieve the desired effect of linking both Francises through history. Bergoglio comes across as affable, but doesn’t take much to discover gravitas under his welcoming demeanor. One could argue Wenders is too soft on Francis, particularly when dealing with the matter of children’s abuse at hands of clerics. As biased as it is, it provides enough insight on a man who sees monumental tasks ahead –refugees, climate change, ever expanding poverty– and his reaction is simply to roll up his sleeves and get to work, which is more than the other guy did (the German one, who quit). Three planets. Pope Francis: A Man of His Word is now playing at the Roxy Theatre.